In past years we haven’t decorated our house very much for Halloween. This year, however, the boys have been begging me to decorate like some of the other houses they’ve seen. Not wanting to go out and purchase a bunch of decorations (yes, I am cheap) I thought it better that we just make a few decorations. Given my boys new love of crafting, I thought that homemade crafts would not only give the boys something fun to do, but also be a great way to decorate! 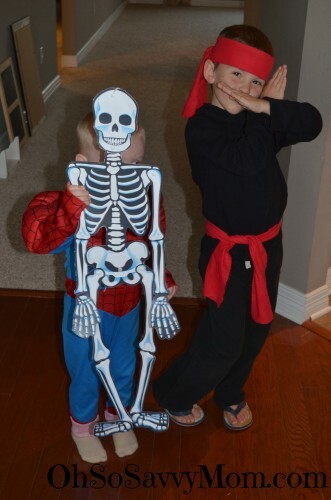 Last week The Husband picked up a couple of flat foam pumpkins that the boys had a blast decorating. 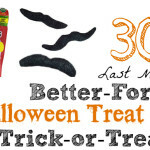 But it wasn’t enough to quench the boys’ thirst for Halloween Decor. Thankfully this is where the HP Creative Studio stepped in! 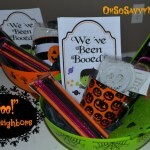 HP Creative Studio has a TON of free Halloween printables! Have you been to the HP Creative Studio site yet? If not, you should definitely visit! 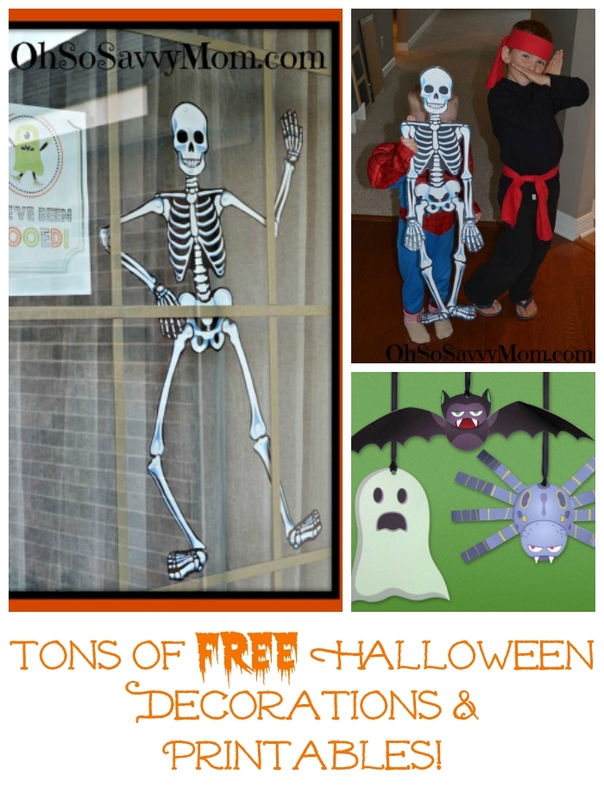 It is an excellent place to find free Halloween printables decorations, Halloween coloring pages, and Halloween worksheets, Pumpkin Carving Templates, and much more! 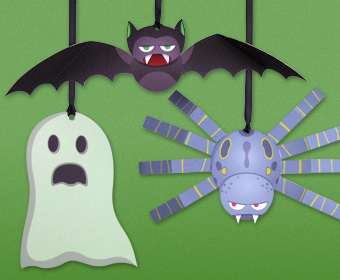 Look at these cute Floating Monster Decorations! 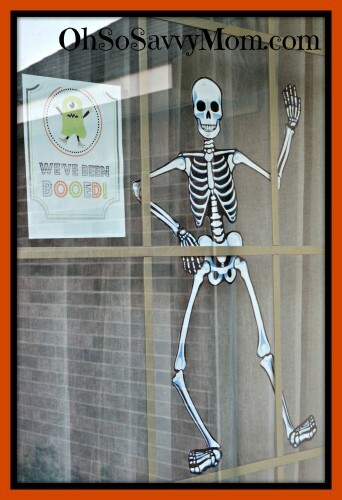 On Friday the boys and I made this spooky skeleton to hang in our front window. After it was all done we hung him up in our front window! The boys are looking forward to doing their printable worksheet games too! The list of available printables goes on and on. At the HP Creative Studio you’ll also find printable Halloween Cards, Printable Masks, Printable Worksheet Games (great for your kids’ Halloween parties! 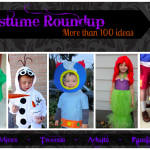 ), Halloween scrapbook pages, and much more! The site is super easy to browse. For the majority of the projects I would recommend having a color printer, though there are a few (like the skeleton) where you could get away with printing the project in Black and White. Disclosure: I was provided with a promotional gift code as a thank you for my time in posting. No monetary compensation was received. All opinions expressed are honest and are entirely my own. Those are cute! I never would have thought you could print out a skeleton of that size but it never crossed my mind to mount it to poster board. What a neat idea! I'm going to have to look for more of these types of printables! These are really cute, thanks for sharing! These are really cute ideas! I love the skeleton in the window. Those look so fun! My kids would love these. Thanks for the info! Excellent items from you, man. I've take into accout your stuff prior to and you are simply extremely wonderful. I really like what you have bought right here, really like what you're stating and the best way through which you say it. You're making it entertaining and you continue to care for to keep it smart. I can't wait to read far more from you. That is actually a terrific website. 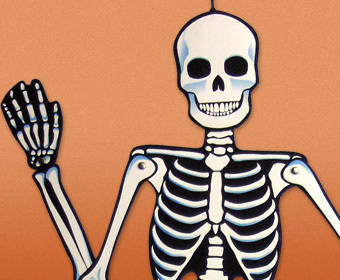 I absolutely love this skeleton. I have printed and laminated the parts and are looking forward to putting it together with my 3 years old son. He is so excited about this already. Thanks so much for sharing this!! :) God bless! Isn't it great?! It is so easy to store too! I'm glad he loved it!